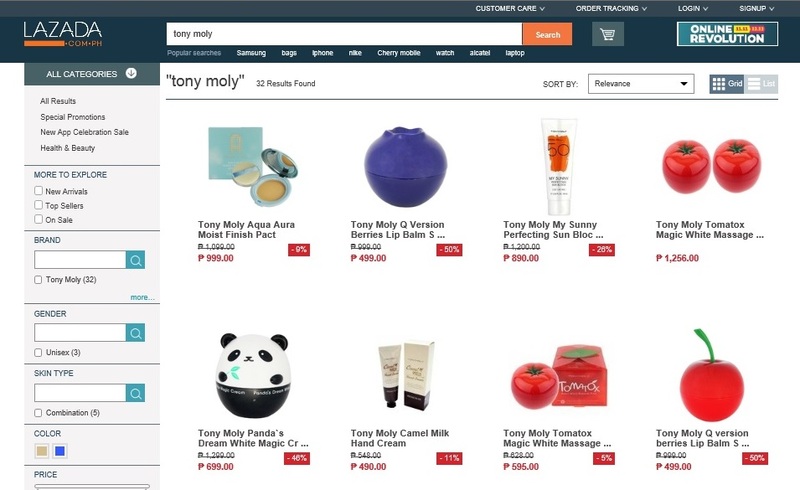 Yesterday, Tony Moly Philippines the sole authorized distributor of Korean cosmetics TONY MOLY products announced on their Facebook account and their official website that, the company disown any liability in connection with all TONY MOLY products being sold by Lazada Philippines. 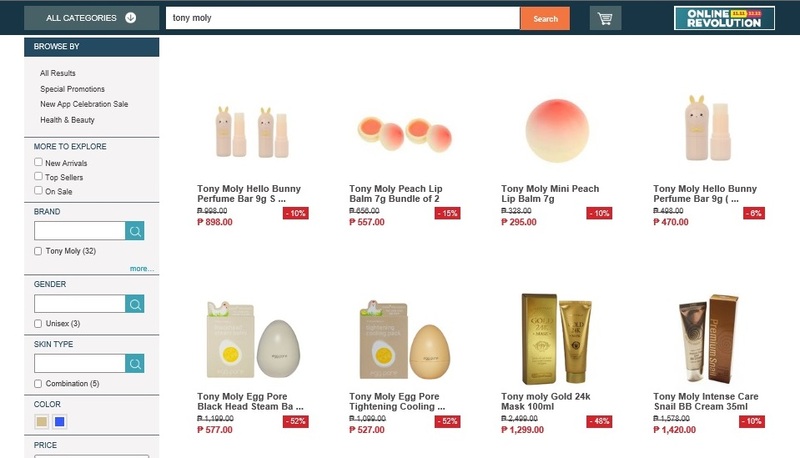 As seen from Lazada Philippines website are Tony Moly products being sold on unbelievable cheap prices. 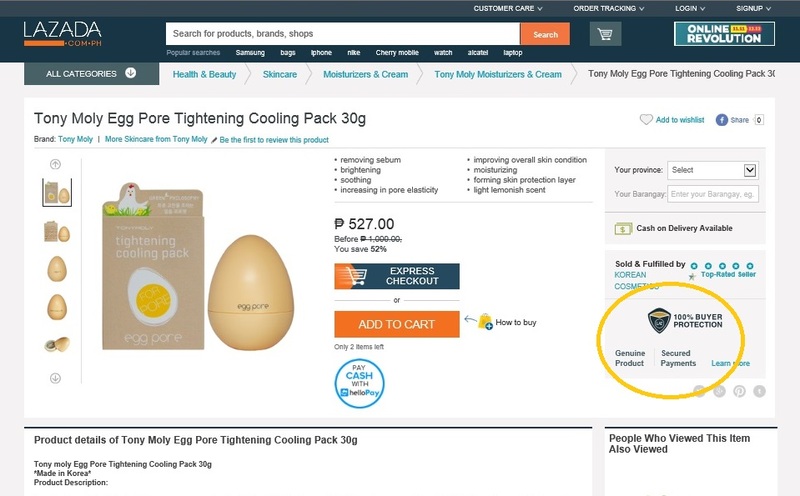 Few days ago Rosa Fiore House Corporation, the sole authorized distributor of Korean cosmetics Etude House sued Lazada Philippines for selling fake Etude House products. 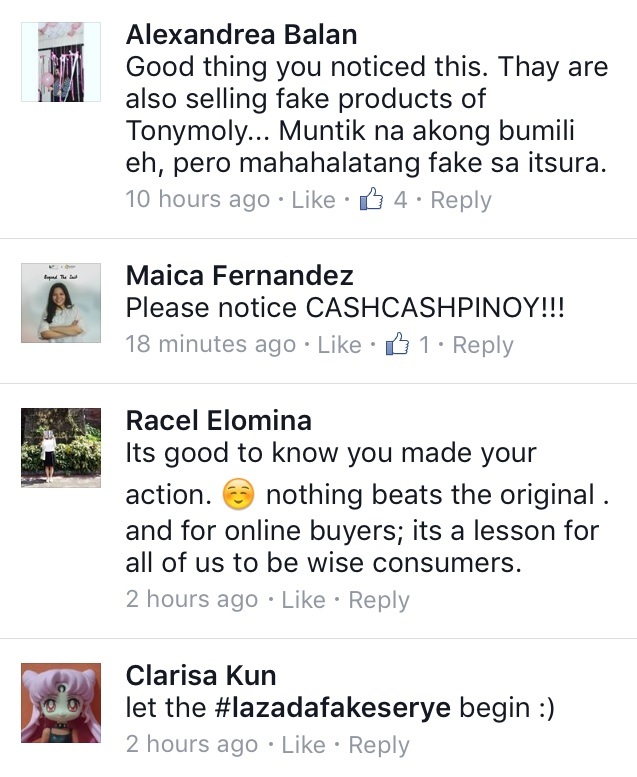 Now comes Tony Moly Philippines against Lazada Philippines. Who would comes next? 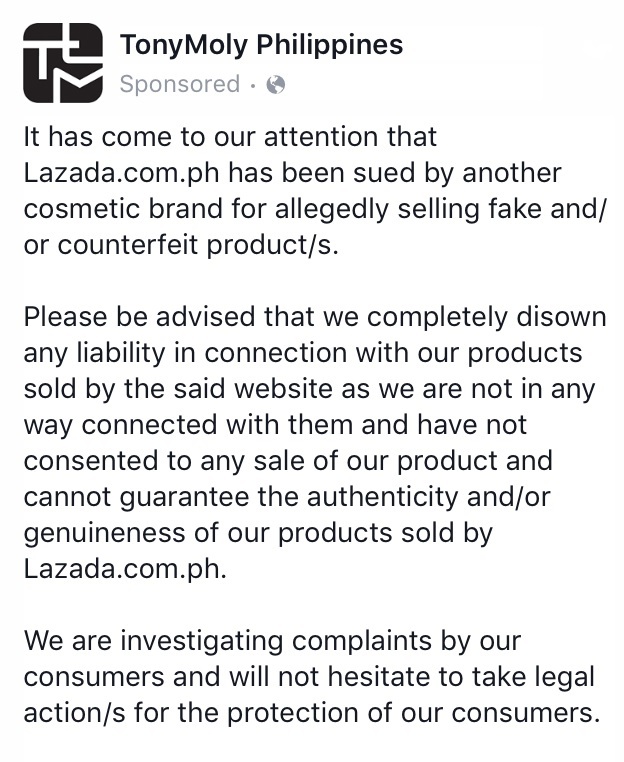 Would the other cosmetic brands will do the same?